You don't want to help feed my child? 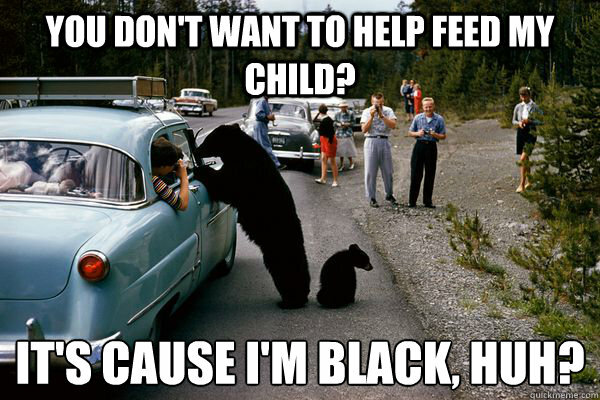 It's cause I'm black, huh? 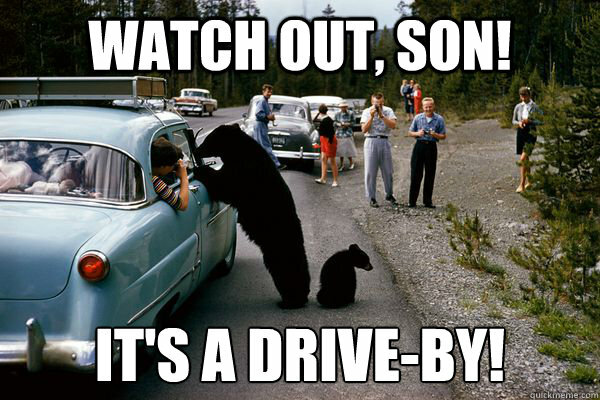 watch out, son! It's a drive-by!